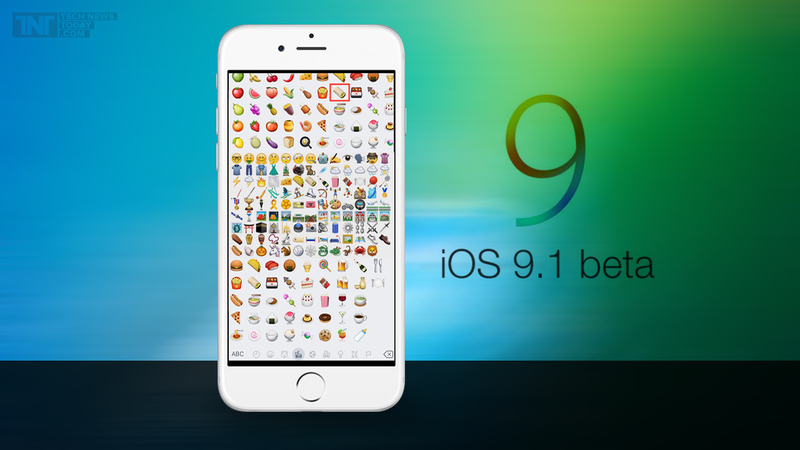 Six Features Of iOS 9.1 That Makes Potential Update Inevitable. When the release of the new iOS 9 hit the market in last September, People in the Apple world greeted it with greater interest because of the update in its features and whatever it was to bring. Apple didn't relax on just the iOS 9 release, they've gone ahead to make a significant update to the previous iOS 9 which is the new iOS 9.1. This new version of the Apple OS for iDevices promises yet another thrilling features which makes a potential update a must for all Apple Device users across the planet. With the Apple iOS 9 we saw a whole new features like the News app, Lower power option and of cause the better Siri which are very essential. The new update to iOS 9, that is, iOS 9.1 also comes with better enhancements and new features as well. Below are six new features of the iOS 9.1. you shouldn't waste time on an update to this newest version of the Apple software. Contact Photos in Text Messages. This new feature allows you to see the picture of your contacts next to messages in the messages App. Because not all Apple users would like to see a contact photo alongside messages, Apple has made it possible also to enable and Disable as and when needed by the user. Improvements In Mail app: Users had few issues with mailing like not seeing messages when you search them and a couple of issues. In the iOS 9.1 Apple has made improvements to this and those issues resolved. Fix For Live Photos: This new update makes the live photo sense more intelligently. so now it need not to capture your every movement as it's able to detect when you raise and lower your iPhone. Calendar app fixes: In the previous version of the Apple iOS, users uncounted bugs and even calendar app got frozen when navigating the app. This iOS 9.1 comes with a fix to this issue and so if you upgrade, you shouldn't encounter these bugs any longer. Fixed Compatibility Issues For Apple TV and iPad Pro Devices: The iOS 9.1 makes it workable and compatible with the yet to be released iPad Pro and Apple TVs hardware. New emoji icons: This current update also comes with additional emoji icons like taco and middle finger. With the above mentioned features of the iOS 9.1 and others too, it makes this new version of the Apple OS an essential update and a potential update to this software version is absolutely inevitable. If you have already updated to iOS 9 then you should as well update to this 9.1 to get a smooth run of the Apple OS on your iPhone. Linking back and Sharing this post is the Best way to Support and Appreciate our effort, so everyone can progress.